Many people fear that in order to maintain a Whole Food Plant Based diet all meals have to be made at home and that eating out is not an option. In my experience that is not the case. Most chefs are happy to accommodate if you ask them nicely and explain your preferences. In NYC where I live, I'm especially lucky, as here new innovative plant based spots are popping up all the time! Check out my favorites! by CHLOE aims to share delicious, wholesome, plant-based food that fuels and energizes without compromising flavor, taste or satisfaction. By Far one of my most favorite spots. They have a vast variety of dishes that make you feel like you are making a quick stop in NYC ,Plant-Based, trendy version of Shake Shack. Whether it is lunch date with a friend, pick up for work, or even delivery at home, they always have your cravings covered in a plant-based option. They have seven locations throughout the city: West Village, IronFlat, Sweets, SOHO, Rock Center, Williamsburg, and South Street Seaport. A patchwork of culture, community, and comida threading plant-based eaters to the Mexican palate. 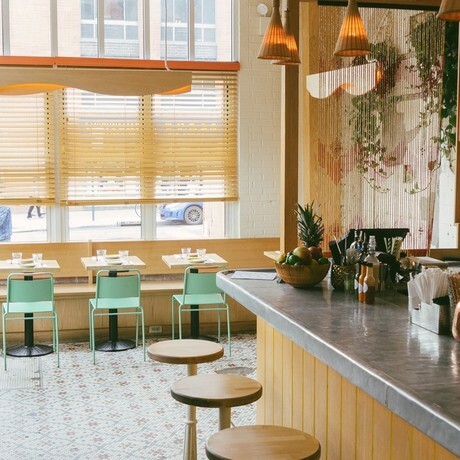 They have two locations: one in lower east side, Manhattan, and in spring of 2018 a Brooklyn opening. 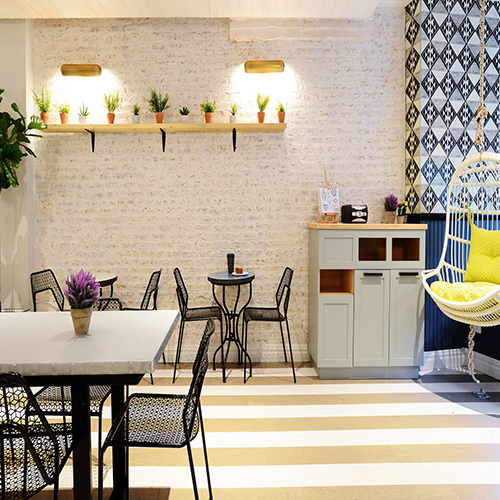 It's a super nice little space with a very cool hip vibe. The dishes are tapas style- so I recommend to bring a friend, or a few, and share all my listed favorite dishes. Also the dessert cake is amazing, one of the best vegan cakes i have ever had, not too sweeet, not too heavy, it literally just melt in my mouth! All the cocktails are also very delicous and interesting. They have such fun mixes flavours and always served beautifully as well. All food is served very beautifully - it always looks just as delicious as it tastes! Double Zero brings a healthy perspective to the world's most popular food. 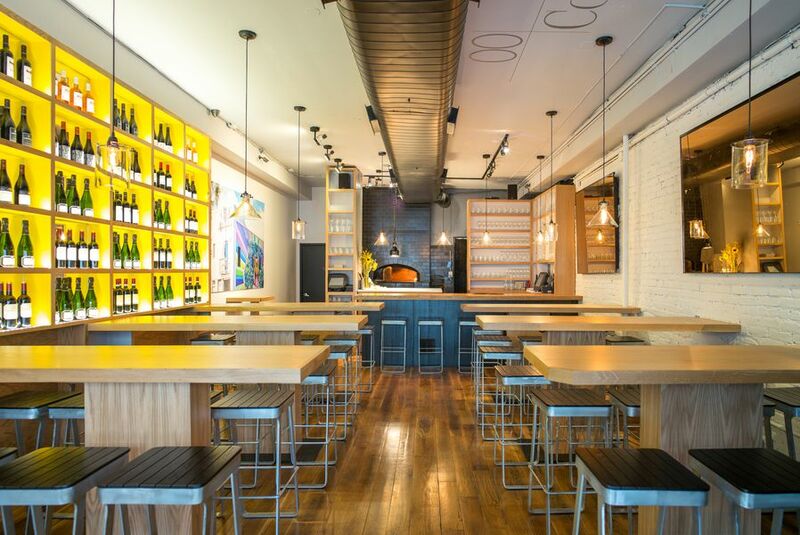 Featuring pizza from a custom built wood burning oven, small plates including our signature tree-nut cheeses, plant-based desserts and a list of organic and sustainable wines from Europe in a warm casual environment, the flagship location is located in the heart of the East Village in NYC. I love the space and especially that you can sit outdoors in the spring, summer and autumn. This is a Mathew Kenney Resturant. He has plant-based resurants all over the country. I would also recommend trying his other resturant in NYC: Bar Verde in East Village, XYST located in Chealsea, Plant Made in East Village, and Arata on 2nd Avenue. 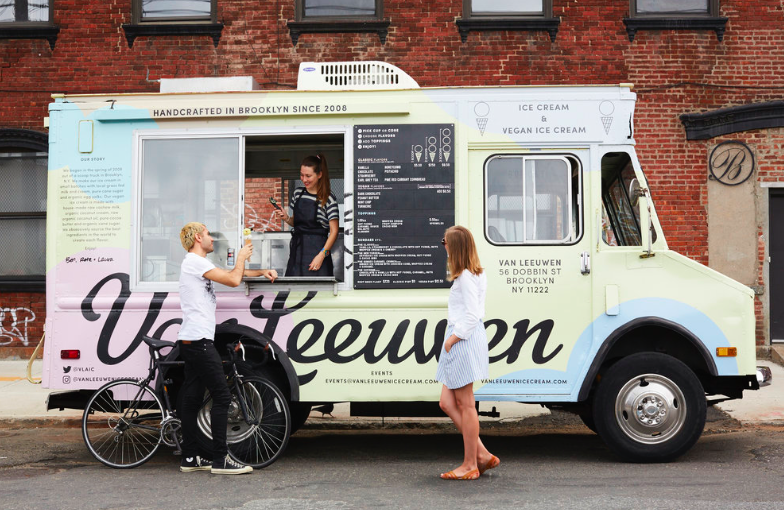 Van Leeuwen Vegan ice creams are made with just a handful of fresh ingredients. Each flavor is a celebration of some of the world's best artisan producers and farmers both local and from around the world. I would name this as THE BEST VEGAN ICE CREAM IN NEW YORK. It is so creamy, soft, and smooth. Van Lueween has multiple shops all over the city, as well as a ice cream truck in Williamsburg. HINT: The Van Lueween Truck is right next to Double Zero. So a night with plant-based pizza followed by vegan ice cream is just a perfecft night! Click to view flavors now. Candle 79 is one of the most famous "traditional" vegan resturant in the city. Their chef-driven menu features locally-sourced sustainable ingredients in their most natural form to create inspired dishes made daily. Candle 79 also owns Candle Cafe, their sit-down lunch option. 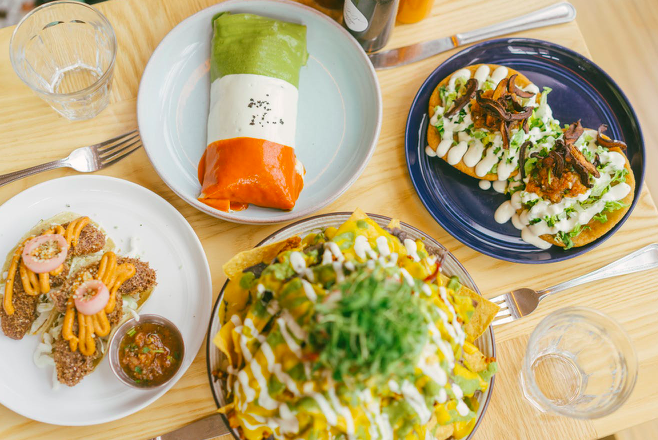 Both resturants are known for having super good vegan food with an extensive large menu! I have far away from tested everything but currently working on it! 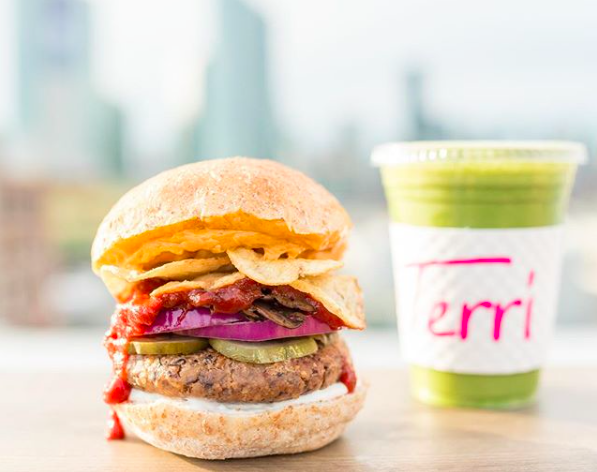 Terri Cafe is NYC's Plant-Based first Fast Food location. 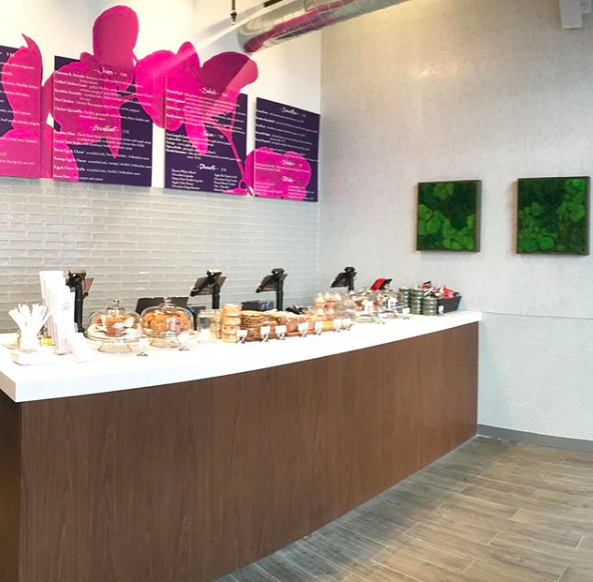 Beginning as a family owned business, their commitment is to honest foods and serving fresh meals.Terri has three cafe locations serving thousands of people a day out of their three locations: Chelsea, the Financial District, and Midtown East.